When it comes to treating acne, there are a variety of factors to take into account for determining the best treatments for your unique skin. In addition to acne severity and skin type, ethnicity is also an important element to consider. Asian skin can be a bit more tricky to treat because it is more sensitive and other skin types (both caucasian skin and darker, African skin). Therefore, treatment products and cosmetics that work well for others can often be too harsh and irritating when applied to Asian skin. 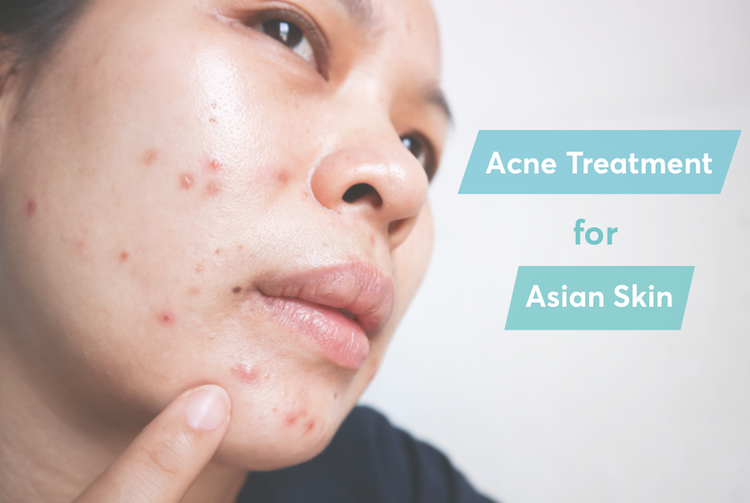 Additionally, as Asian skin tends to be more prone to the development of hyperpigmentation (dark spots), proper acne treatment and prevention is even more important. What is the best acne treatment ingredients for acne in people with Asian skin? While certain acne treatments can be too irritating for sensitive, Asian skin (more on that below!) 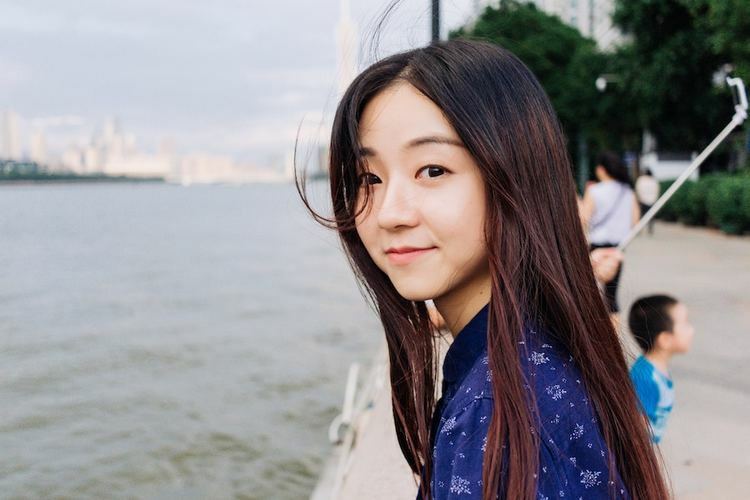 2 of the most effective acne treatment ingredients—Benzoyl peroxide and salicylic acid – are both safe and effective in treating acne in Asian skin when used in the right (mild) doses. Salicylic acid (up to 2%): Salicylic acid is a naturally derived (from willow bark), beta hydroxy acid (BHA). It helps to unclog pores to clear pimples, blackheads, and whiteheads while reducing inflammation and helping to fade dark spots. Benzoyl peroxide (up to 2.5%): Benzoyl peroxide is considered the single most effective topical anti-acne ingredient. It fights the bacteria that causes acne (acne vulgaris), unclogs the skin pores, and prevents future acne breakouts. Check out this study on the proven efficacy and safety of benzoyl peroxide in Japanese patients featured in the Journal of Dermatology. What is the best acne cleanser for people with Asian skin? People with Asian ethnicity (especially Japanese and Korean), are very sensitive to harsh cleansers. Most acne cleansers, especially the ones that produce a foam with large bubbles (i.e. “suds”) can cause irritation that damages the outer layer of the skin (stratum corneum - natural protective skin barrier) and ultimately, cause more breakouts down the line. The best acne cleanser options for people with Asian skin are ones that produce a thin, creamy lather with barely visible bubbles. Alcohol-based cleansers and toners should be also avoided. While they can temporarily remove the “shine” from oily skin, the skin typically responds to this drying effect by producing even more oil to compensate, leading to clogged pores, and more inflammatory acne. What acne treatment ingredients should be avoided on Asian skin? Because Asian skin tends to be more sensitive, there are certain acne treatment products and ingredients that should be avoided altogether. High-concentration AHAs: High concentrations of alpha-hydroxy acids creams (more than 10%) and high concentrations of benzoyl peroxide (more than 5%) and also can cause significant irritation to Asian skin. Thus, if you are getting a facial chemical peel at a Dermatologist or aesthetician’s office, make sure you get a “light” peel that is neutralized immediately after the procedure. Since Asian skin is more prone to post-inflammatory hyperpigmentation (i.e. dark spots), it is extra important to begin an effective acne treatment routine with the right skincare products ASAP and before the acne condition worsens. 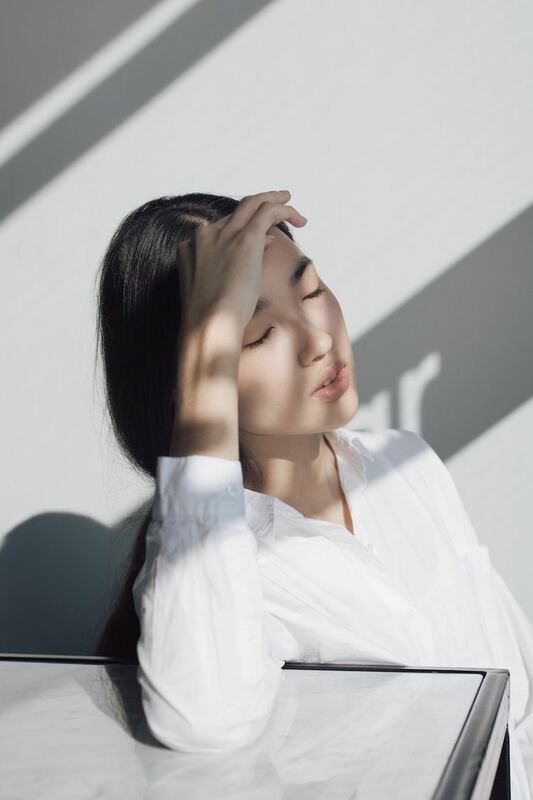 In addition to early treatment, people with Asian skin should avoid (or minimize) sun exposure, use sunscreen safe for acne-prone skin, and wear a hat whenever they leave the house to help prevent the development (or worsening) of dark spots. To treat existing post-acne hyperpigmentation and achieve a more even skin tone, people with Asian skin can use a dark spot corrector with Hydroquinone (up to 2%), such as the MDacne Dark Spot Remover. Is the “Asian flush” the same as rosacea? People with heritage from certain Asian countries (particularly from Korea) lack an enzyme that detoxifies alcohol). For these people, drinking even a small amount of alcohol can cause skin redness irritation that can be mistaken as acne rosacea (or other inflammatory skin conditions). The good news is, once alcohol consumption is stopped or at least reduced this redness and irritation subsides quickly. If you think you may have rosacea and enjoy a frequent cocktail, try cutting out alcohol for a period of time and see if there is any noticeable effect on your skin. Hair care and cosmetics for people with acne-prone Asian skin? Hair Care: Foaming facial cleansers and Shampoos can be particularly irritating for Asian skin. Therefore it is essential to rinse the face after washing the hair to prevent redness and inflammation and future breakouts. Same is true for hair gels or leave-in conditioners. If you have Asian or dark skin and are prone to breakouts, try removing or reducing these products from your routine. If you can't bear to part with your favorite hair gel, try using use it only in the middle of your scalp and ends of your hair so that it is less likely to spread to the skin on your face and always remove /wash out before bed. Asian skin tends to be more sensitive than other skin types and does not respond well to high concentrations of topical anti-acne medications. If you have Asian skin and acne, you need to start as soon as possible with an effective anti-acne treatment that is personalized to your acne severity and skin type. To find the right topical skincare products for you, you can take the free MDacne skin analysis. It uses facial analytics to analyze your skin and will recommend customized treatments based on the results with the right ingredients to reduce your active acne and help fade your brown spots.